Long Lasting Memories- In a Mug! If you are reading this, I will assume you have more than one coffee/tea mug. I will also assume you are considering adding another mug to your collection or want to design one as a gift for someone else. Either way, today I will show you how I created a long lasting custom designed coffee mug. Self-designed mugs have been around for years and, thanks to Pinterest, over the years the recipe to designing these mugs continues to get more efficient. When I first read about self-designed cups, I read they were designed with sharpie markers and then baked for 30 minutes. However, when searching for designs for my own cup, I also came across countless of reviews talking about how faulty that method is. 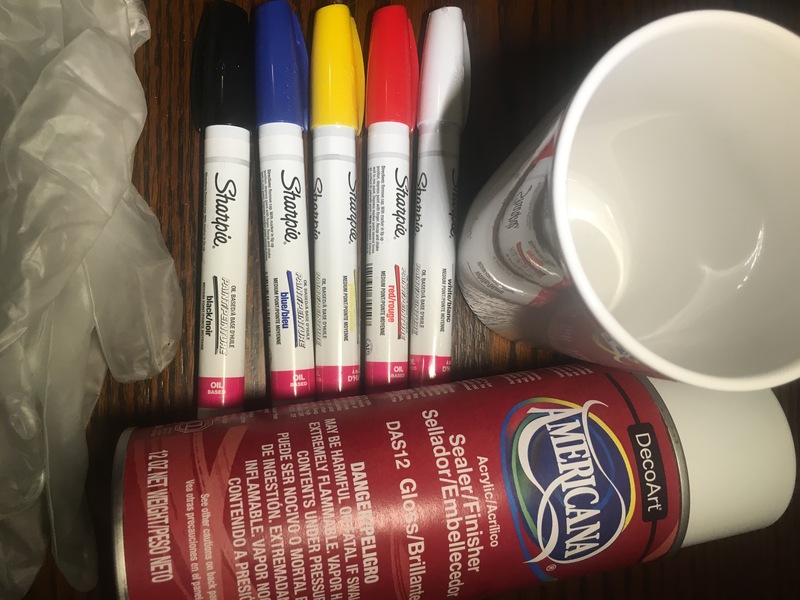 Nevertheless, I decided to give the method ago but instead, I doubled the steps and added one more material to the process: Acrylic sealing spray. And that my friends, appears to be doing the trick. Mind you, it was a long process but one that is worth it if you want to give a gift that lasts. Place mug in cool oven and allow it heat up to 350 degrees. Bake for 30 minutes and let it sit in the oven until it is completely cooled off. Do not move the mug while hot because the ceramic can crack. Once the mug is cool to the touch, you can move to step 3. Draw over your design one more time. Allow to dry for two hours. Once mug is completely cooled off, put on your gloves, go outside, and spray your mug with the acrylic sealing spray. 1-2 coats is enough. Allow your cup to dry for 2-3 hours. Yes, I know this is a long process! But it’s what seems to be working. Below is a picture of the cup I gave my friend after many washes. I had a great time creating this project. Even though I had to design two mugs since I accidentally dropped and broke the first one. Haha. 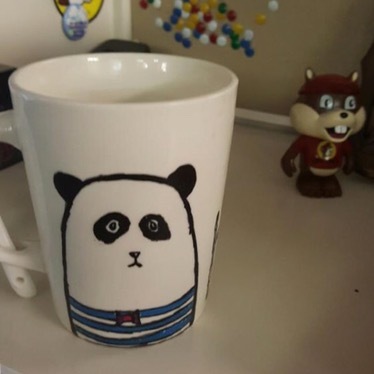 Have you ever designed a mug with sharpies? If so, did the design last? I would love to learn more ways to make ceramic designs that last and survive the dishwasher. I can’t wait to see how this mug turns out in a year or so. Don’t worry, I’ll update this blog post :P. In the meantime, I will continue designing mugs using this method. Remember, there’s no limit to your creativity. Author Sirene WorldPosted on August 3, 2016 August 11, 2016 Categories DIY's, UncategorizedTags Bloggers, Coffee, coffee time, DIY, Do It Yourself, easy, For the home, fun, Gifts, Handmade, houston, Houston blogger, Houston Latino bloggers, HoustonLatinaBloggers, love, Mugs, panda, panda love, tea, tea time, TexasLeave a comment on Long Lasting Memories- In a Mug!